Brandser E, Marsh JL. Acetabular fractures: easier classification with a systematic approach. AJR Am J Roentgenol. 1998 Nov;171(5):1217-28. Review. PubMed PMID: 9798851. Durkee NJ, Jacobson J, Jamadar D, Karunakar MA, Morag Y, Hayes C. Classification of common acetabular fractures: radiographic and CT appearances. AJR Am J Roentgenol. 2006 Oct;187(4):915-25. PubMed PMID: 16985135. Hunter JC, Brandser EA, Tran KA. Pelvic and acetabular trauma. Radiol Clin North Am. 1997 May;35(3):559-90. Review. PubMed PMID: 9167663. Letournel E. Acetabulum fractures: classification and management. Clin Orthop Relat Res. 1980 Sep;(151):81-106. PubMed PMID: 7418327. Martinez CR, Di Pasquale TG, Helfet DL, Graham AW, Sanders RW, Ray LD. 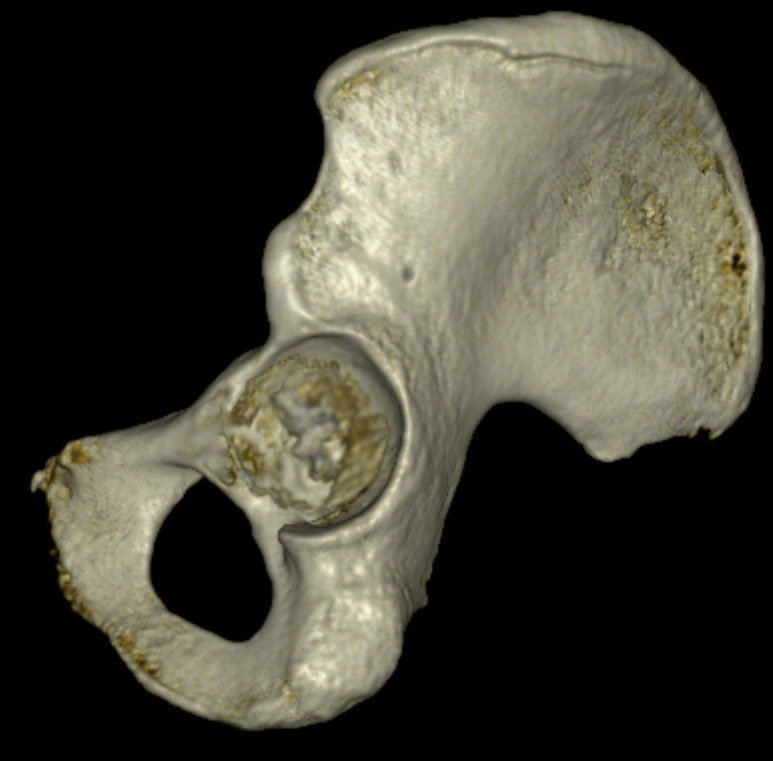 Evaluation of acetabular fractures with two- and three-dimensional CT. Radiographics. 1992 Mar;12(2):227-42. Review. PubMed PMID: 1561413. Potok PS, Hopper KD, Umlauf MJ. Fractures of the acetabulum: imaging, classification, and understanding. Radiographics. 1995 Jan;15(1):7-23; discussion 23-4. Review. PubMed PMID: 7899615.